Hi everyone! I'm so happy to be able to share a manicure with you all today. Since our lovely Kat is busy moving into her new home, Hooray!.. I have a little something to share! 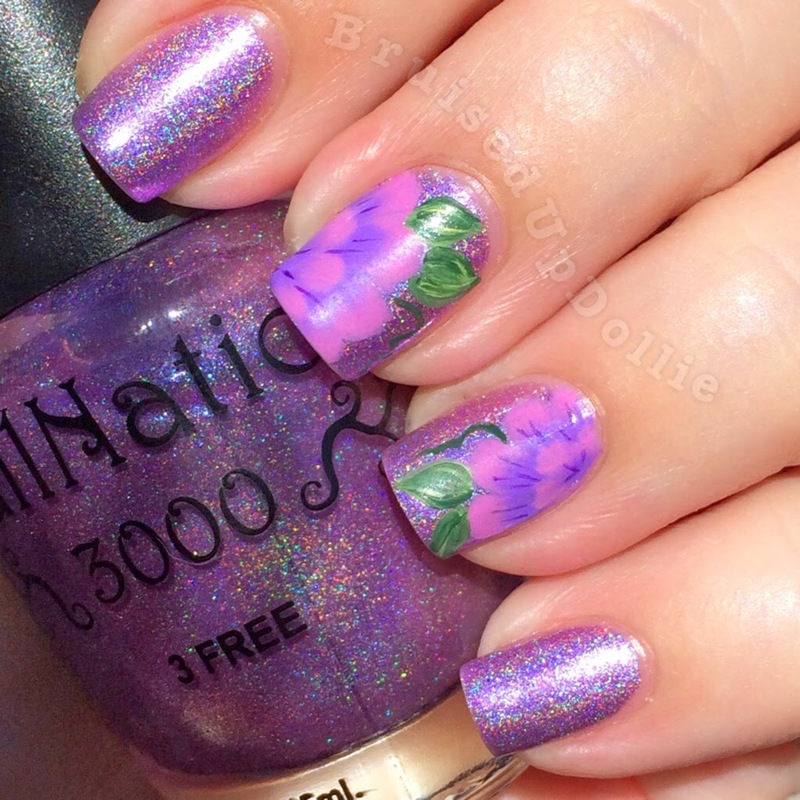 A pink and purple one stroke flower on the most amazing base, Kat Stays Polished by NailNation 3000! Ugh isn't that base divine?! LOVE!!! The very first day I had that bottle in my hand I knew I'd have to slap a little one stroke on it. It's just so beautiful! Well that day came and that's what happened :) I hope you enjoy the mani and the color named after our Kat! Were you lucky enough to grab a bottle before it ran out?! So happy I did!! Ok last pic before I bore you all to death. Lol! Thanks for having me, Kat. Love you! What a nice guest post! 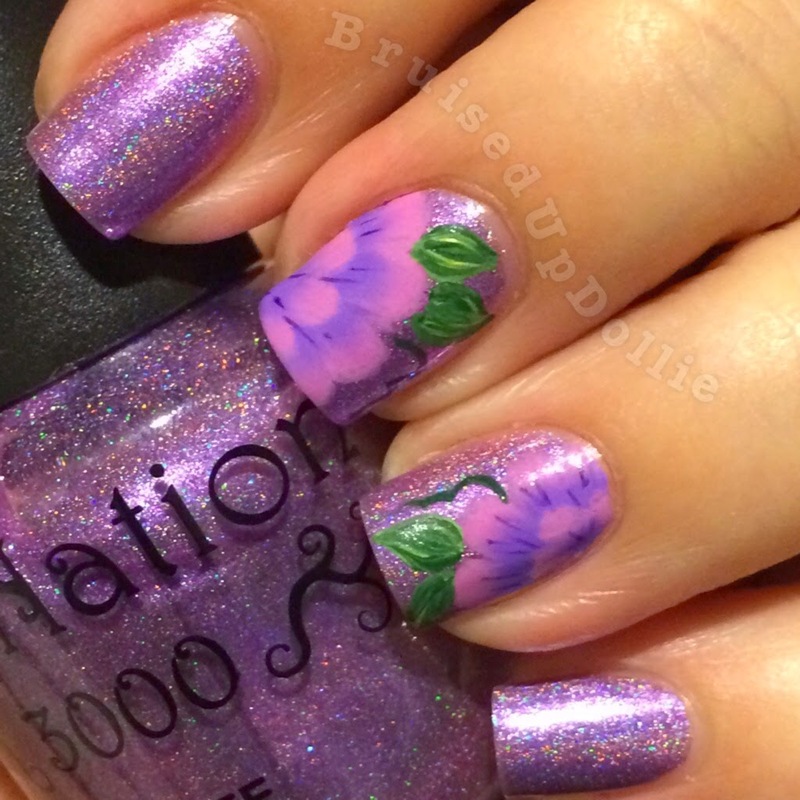 Those are some pretty one stroke flowers!